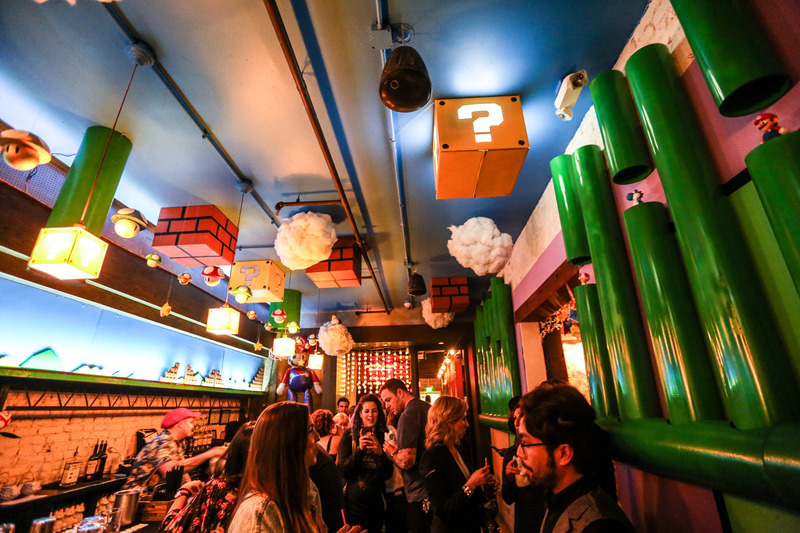 The Cherry Blossom Pub, a popular bar in Washington D.C., has recently been redecorated to the theme of World 1-1 from Super Mario Bros. for the upcoming Cherry Blossom Festival. 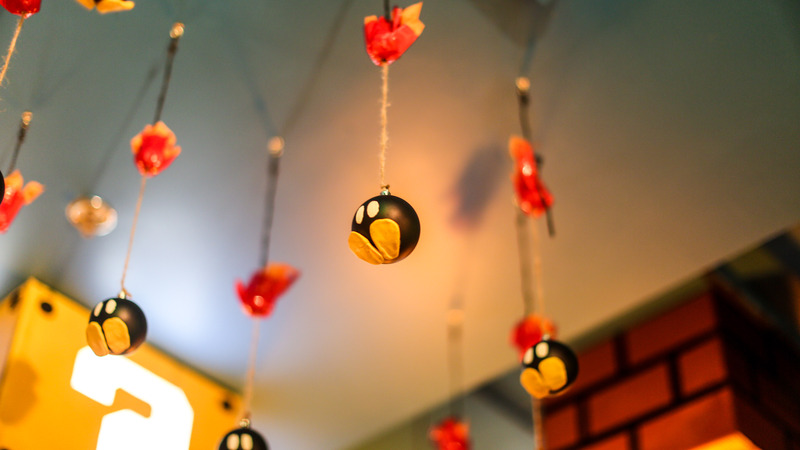 While Drink Company, the owners of the bar in question and several others in D.C., went with classic Cherry Blossom decorations for their other locations, the Super Mario pub was an idea that they couldn’t resist. Matt Fox, the special projects manager for Drink Company, had this to say during an interview with Polygon. 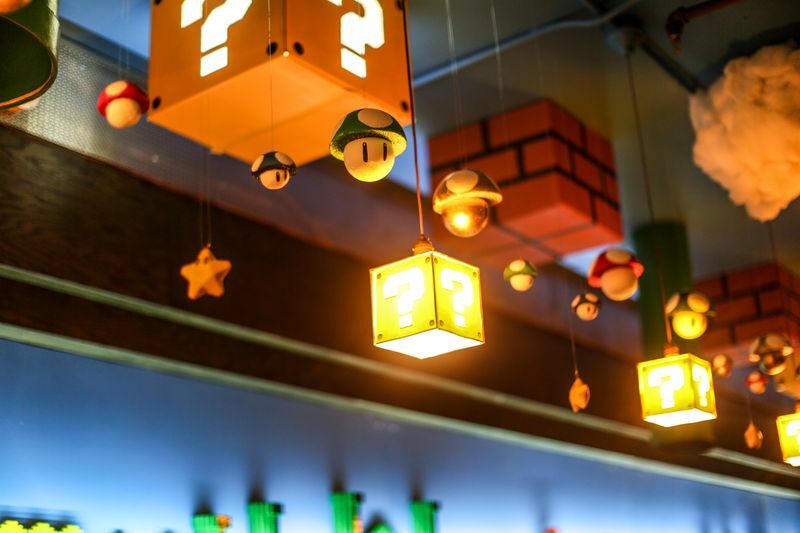 Complete with Bob-ombs, warp pipes, animatronic piranha plants and other iconic goodies hanging from the ceiling, the bar is a site to behold for any Nintendo fan. According to the project coordinator, Éamonn Fetherston, the centerpiece of the decorations is the Star Power button. 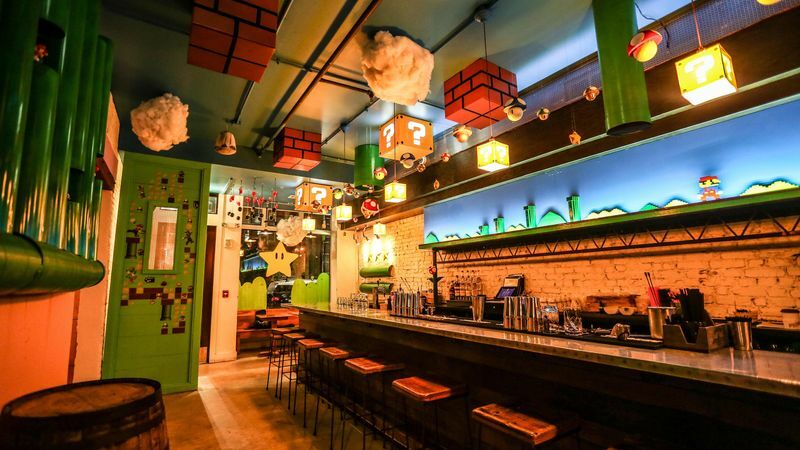 You can find more pictures of the bar in the gallery below, and you can check out the full article from Polygon here.